See Knocknagree for route here. I would love to comment on the fine views we experienced on this top. True, it was just below the mist level when we arrived, but we were busy pulling on our waterproof trousers and jackets to notice one. The light rain on Knocknagree had turned into a down pour, by the time we had reached the East Tops summit. 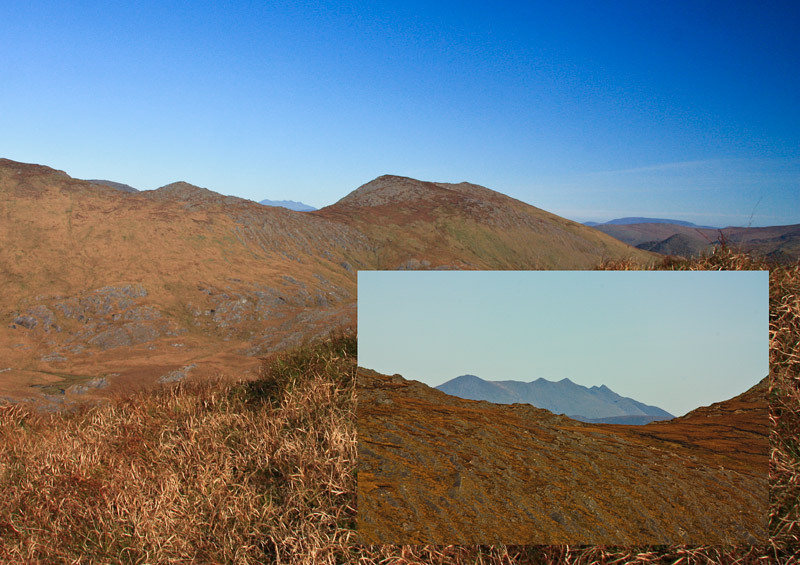 And our plan for a traverse of the 7 MV hills between Castletownbere to Adrigole was looking very doubtful now.